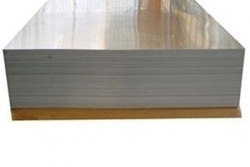 Pioneers in the industry, we offer cold rolled sheets from India. We champion in bringing forth our clients an exclusive range of Cold Rolled Sheets in various shapes, width, surface finish and other parameters. These cold rolled sheets are made in compliance with industry standard with low carbon CRCA grades and corrosion resistant steel, viz., Tin Mill Black Plate (TMBP).